This is the first edition of CSIL report 150 Smart&Fast Cities: Forecasting Furniture Demand to 2020. Aim of the Report is to shed light on 150 worldwide smart&fast cities, which are deemed to offer good business opportunities for the furniture and furnishings players in the coming years. This Section provides a comparative analysis of the 150 cities by highlighting their performance until 2020 in terms of demographic trends, economic development and consumptions. 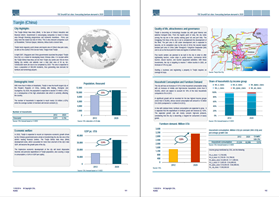 At the end of section 1, comparative table of cities by geographical areas are provided, showing the expected range of growth which will be faced in 2020. City Highlights: main peculiarities of the city and interesting aspects which could influence investment opportunities and the demand of furniture and furnishing products. These may include: government projects, financing programs, economic incentives, retail opportunities, development of the real estate market, constructions planned, major events which will be hosted in the city, etc. Demographic trend: main topics influencing the demand of furniture and furnishings products, such as the increase/decrease of population, the number of households, and the population structure (share of migrants, working age people, birth rate, etc.). Economic welfare: economic development of the city as well as the economic conditions of the citizens and their purchasing power. Quality of life, attractiveness and governance: aspects which make a city attractive for citizens and businesses, including the availability and quality of infrastructure to access local resources, the capacity to attract tourists, the conditions to make a business, etc. Household Consumption and Furniture Demand: attitude of households towards consumption, by distinguishing among different income groups. Level of consumption of furniture and furnishings products, including, housing, office and contract segments. Among considered Cities: Abu Dhabi, Bangkok, Beijing, Chicago, Dalian, Frankfurt, Geneva, Helsinki, Indianapolis, Jakarta, Kuwait City, London, Los Angeles, Madrid, Mexico City, Oslo, Paris, Qingdao, Rome, Shanghai, Tel Aviv-Jaffa, Tokyo, Warsaw, Washington, Zurich. Ask the full list of considered cities. Which are the most interesting cities of the future for companies serving the furniture and furnishing market? The 150 smart&fast cities analysed in the Report are located in 72 countries, which are monitored by CSIL and which account for 98% of the world furniture consumption. Overall, the cities presented in this report account for more than a quarter of the global furniture consumption. They are home to nearly 11% of global population and contribute to 33% of global gross Domestic Product (GDP).